Luckily, success leaves clues on how to achieve the pro level. 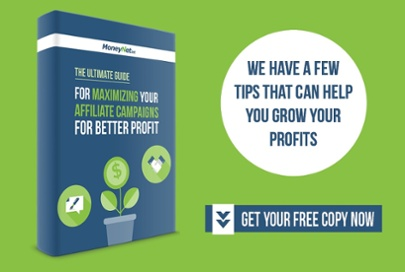 The very best of affiliate world can teach growing affiliates how to cash in big on their affiliate campaigns and avoid wasting money, or at very least, provide some pointers. In this post, we present their top practices when it comes to tightening the belt on those pesky costs. If you expected a direct cost-cutting method, we’ll get there but first, let’s talk about your contract with the affiliate program or network. This is what pros do - they negotiate a better deal when the time is right. And they have every reason to. Being a pro affiliate means having above-average levels of traffic that deliver the ultimate goal - sales. Why should you be treated the same as others with an entry-level deal if you are delivering consistent performance? You shouldn’t as your value is higher and gives you a strong argument for a raise. Timing is crucial here as you want to present your case during a high-conversion period for maximum effect. The same principle goes when setting up the contract in the first place. Affiliates are increasingly opting for setting placement fees in return for placing the affiliate program or network links. The entire affiliate effort takes a significant portion of time and resources on your part. With placement fees, pro affiliates just want to make sure they are not left hanging in the air and see their hard work paid off to some degree, at least. Negotiating for a better deal gives you a bit of extra money to cover the necessary expenses, as well as to minimize your other costs with better management of your affiliate campaigns, now that you have more for investment. Very little would be accomplished if not for the various tools and services that provide in-depth knowledge and insights into affiliate operations. For affiliates, affiliate software is their instrument for playing those sweet tunes of affiliate campaigns and sharpen their affiliate marketing strategies. Manage affiliate operations takes time and requires tracking its growth and analysis of the data to keep revenue from diminishing. By leveraging affiliate software, pro affiliates do this on a daily basis. Simply put, some tools are bare essentials. However, that doesn’t mean there aren’t options out there that aren’t quite heavy on the funds. For instance, Everflow is one of the best affiliate tracking platforms that comes with a great UI and a wide set of features, including advanced campaign management and reporting functionality. With a $200/month starting price, it is double the cost of Voluum, another affiliate tracking platforms that is a favorite of many top affiliates such as Charles Ngo and Zac Johnson. That’s a 50% right there, a cool $100 more in your pocket for roughly the same set of features. 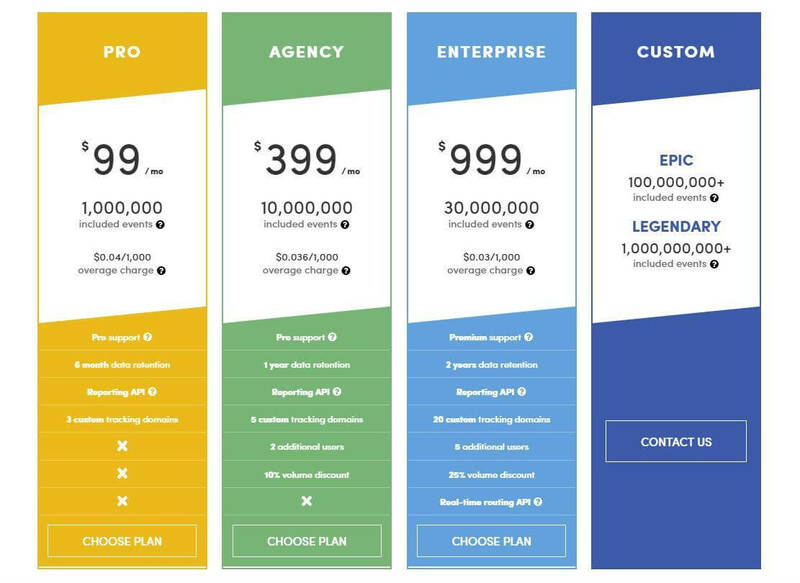 It doesn’t even have to be a different tool - you can choose a lower tier price plan if you don’t really have any use for some features that usually pump up the price. The good thing about these various tools is the ability to test them for free before opting for a commercial plan. The majority offers either a limited free access or a time-based trial for demo purposes, so you don’t have to shell out money in advance for something you might change soon. Just remember - this is a vastly competitive field and there are always options. While those two elements seem like they have more business being in a forex post, they actually have lots in common with affiliates than those very affiliates recognize. There is perhaps no better way to cut down on costs than paying attention to what your payment processor charges you each time you receive or withdraw your money. Why? Because affiliate marketing is a game of numbers and those numbers show, very clearly, in your account statements. For instance, PayPal, one of the most popular payment solutions in the world, charges between 2.4% and 3.4% per domestic transaction plus an additional $0.30 USD. When selling internationally in a foreign currency, a 2.5% currency conversion fee above the wholesale exchange rate applies. The difference is two-fold. First, there are options on the market like MoneyNet that charge lower fees on international transfers than PayPal and other general purpose services, not to mention banks. This is important as pro affiliates have tons of international campaigns, which means receiving money in various currencies. Secondly, these merchant-centric payment options have much more attractive rates, as well as handy features like converting funds into the preferred currency upon withdrawal. This eliminates the fee for receiving money in foreign currency as seen in banks and some payment services. Another important factor is the account itself - it’s easy and, more notably, free to set it up in different countries without it being a virtual bank account but a real one, under your very name. 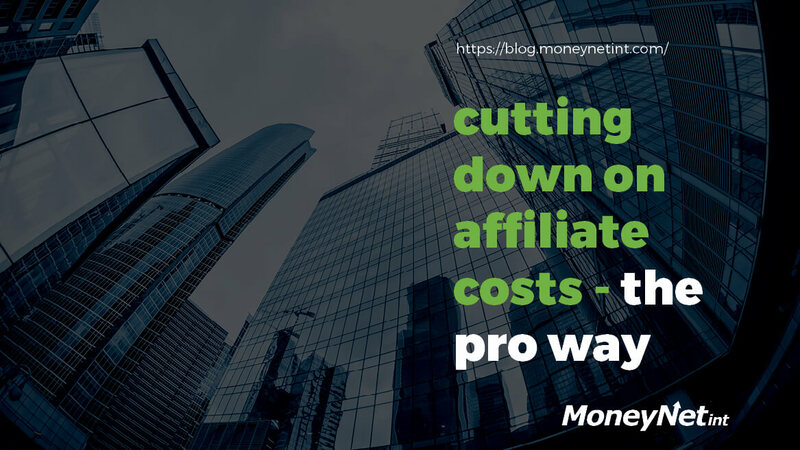 Hopefully, now you’ve gained a sense of what makes pro affiliates tick in terms of cutting down costs and getting the most bang for your buck. Minimizing these ever-present costs is a key cog in a successful and highly profitable affiliate machine. It takes some research, good will, and persistency to know where you can save and improve, just like the pro affiliates do on a regular basis. If you liked what you read here, we have a great ebook on reducing cost the pro way that goes more in depth about these issues, and then some.